A focus group is type of qualitative research methodology conducted in order to garner people’s attitudes and opinions towards a company, product, service, ideas, etc. Typically conducted by a market research company, some companies prefer to conduct their own focus groups using in house market researchers. A moderator facilitates a group discussion where participants can interact with one another to discuss the topic at hand. The results of the discussion are passed onto the client so that they are better able to make business decisions. These are typically conducted in the research facility’s office, typically located in a major city centre. Respondents (that’s you!) are asked to sign in and wait in a sitting area until the discussion is ready to start. From there respondents are brought to a different room (often with a one-way mirror) and sit around a table while the moderator introduces the topic of the discussion and starts asking questions to start a conversation. At the end of the discussion you will typically be given an envelope containing the money you were promised to complete the study. Depending on the focus groups, compensation typically ranges from around £30- £70 per hour. Sometimes props are used in the discussion. For instance, participants may be asked to create a collage using magazine cut-outs of what a particular brand means to them. A television commercial or radio commercial may be played, or a prototype of a new product may be shown. Different tools may be used to garner feedback depending on the topic of the discussion and what type of feedback the client is looking for. Sometimes no props will be used at all and a simple group conversation will be conducted. This goes both ways with the focus group participant and with the market research company. The participant must sign a confidentiality agreement, agreeing to keep the nature of the discussion private. This is to protect the client; if the client is looking for feedback on a prototype, they would not want any information about it to be leaked to their competition. The market research company also agrees to keep the participant’s information private and anonymous from the client. That is, the client cannot access specific identifiable information about the participants in a focus group discussion, preventing them from being able to contact participants individually after the discussion is complete. This relatively new type of focus group methodology possesses great benefits to market researchers as it breaks down geographic barriers, can be cheaper to conduct and can reduce any bias introduced in a face-to-face setting with an actual moderator. While a moderator is still present in an online focus group discussion (conducted in an online chatroom-like setting), the effects of different personality types are minimized. As an added bonus to the client, because they are able to observe the online discussion, they can contact the moderator directly if they wish to reroute the discussion in a different direction, without disrupting the discussion itself. Offline – You can try doing a search on gumtree.com for a listing of focus groups in your area. Alternatively, you will find a list of UK market research companies to contact at the bottom of this page. 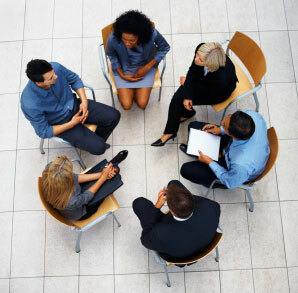 Online – Some UK market research companies offer online focus group opportunities from time to time. Simply sign up as a regular panelist for their online surveys and they will contact you if you qualify for a discussion. Not only will they reward you more handsomely for partaking in a discussion then an online survey, but because of its more personal nature, you may feel like you’re a more intimate part of the market research process. Beware: some websites will try to sell you a list of market research companies in the form of a database, who offer focus groups. DO NOT purchase one of these lists! Use a search engine to find these same companies – there is no need to pay anyone for this information which is available online for free. Occasional online focus group opportunities.